So what the heck is REALLY going on with Snoloha? I’ve heard the rumblings. What’s really going on is that I’m really done being a t-shirt company. ‘Twas never meant to be that way in the first place. I’ve been doing this for a long time. Inventory can be a killer. Ask any retailer. I’m sitting on more than I’d like. That’s why it’s ALL 50% OFF with coupon code snoloha50. Well…that still remains to be seen. Times have changed since I launched this brand. Personally and professionally.  I remember when I launched Snoloha and the thousands of dollars out of my pocket (savings account) that went into the website, into designs and into initial inventory. I cringe. It’s easier than ever to launch a clothing brand today. Social media, Shopify and Teespring alone have dramatically changed the landscape. There really are no barriers left. No excuses left. And if you do have an excuse…it must be a doozy, because it really is easy to start. What I love about the online landscape today is that anyone can start something. And that is a beautiful thing. The process of creating and sharing a vision with the world is something I wish everyone would experience. It’s fulfilling. It’s exciting. It’s scary. It’s totally worth it. But at the same time it seems like the entire world has been ‘simplified’ and watered down. Technology is a funny thing. Really smart people invent new technologies…which in-turn seem to be making a whole lot of others dumberer. That doesn’t sound very nice, I know. I’m not the best speller, editor or writer…but I do at least have some grasp on proper capitalization, punctuation and gammer. Hashtags, and whatever you call the incoherent text message language that kids are using these days, alone are creating a world of idiocy. Or…perhaps I’m just an old curmudgeon. If so, I’m OK with that. Believe me, I understand the importance and the benefit of technology in our overly-connected world…but I look at it like anything else – moderation. 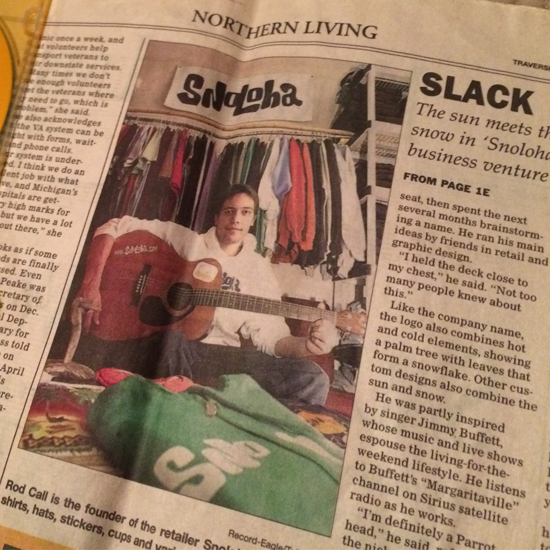 Speaking of changing personally….my good buddy, and the designer of the very first Snoloha website, sent me this photo that he found while cleaning out a file cabinet — Who is that guy? No grey hair. No tired eyes. No wrinkles. Full of optimism. Boy how things have changed 🙂 Except I do still have that white hoodie (that photo shoot was the only time it was ever worn) and the only song I still know how to play on that guitar that I traded a pair of skis for is ‘Margaritaville’ (barely). Some of you have expressed a real sadness to see the brand go away. I’m doing my best not to let that happen. I’ve always said that the connection Snoloha has with people is way more fulfilling than selling a stupid t-shirt…because who really needs another t-shirt anyway?! And if you do…heck, Teespring makes it risk-free for me to introduce new designs, so maybe I will.